This conscious jumble of styles is, of course, terribly of the mode. It’s easy to get the look. Purple tracksuit trousers; a pair of leopard print Suicote sandals; a t-shirt featuring both a head-slappingly obvious statement about life and an image of a pagan deity; a gilet with 14 pockets; Hulk Hogan’s old puffer jacket; a trapper hat, and a pair of yellow-lensed sunglasses that make it look like you’re watching life through a colostomy bag. You’re on fire son. 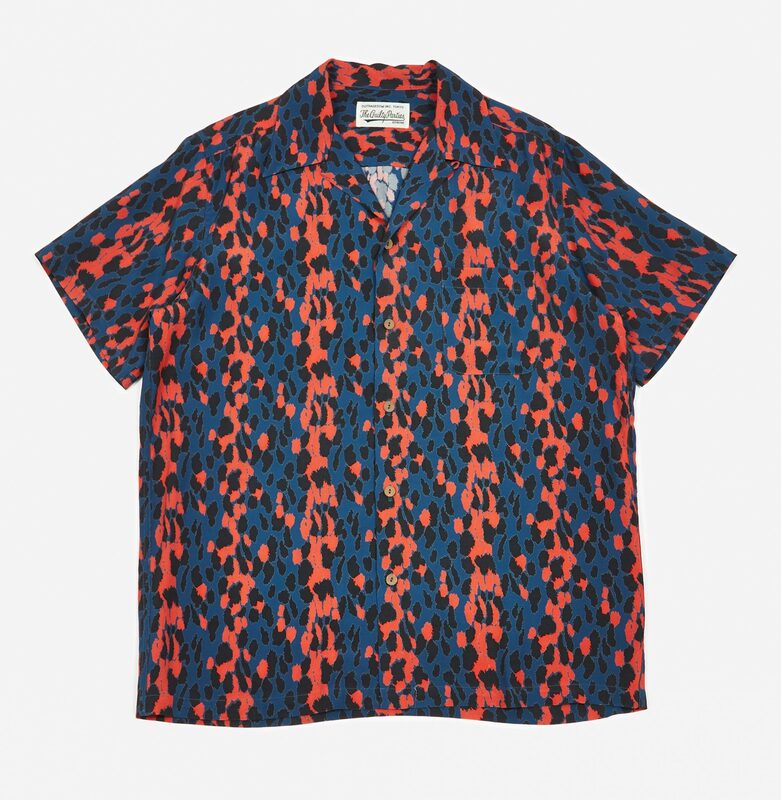 This shirt (available in blue and red, or green and pink) is the perfect Goodhood piece. 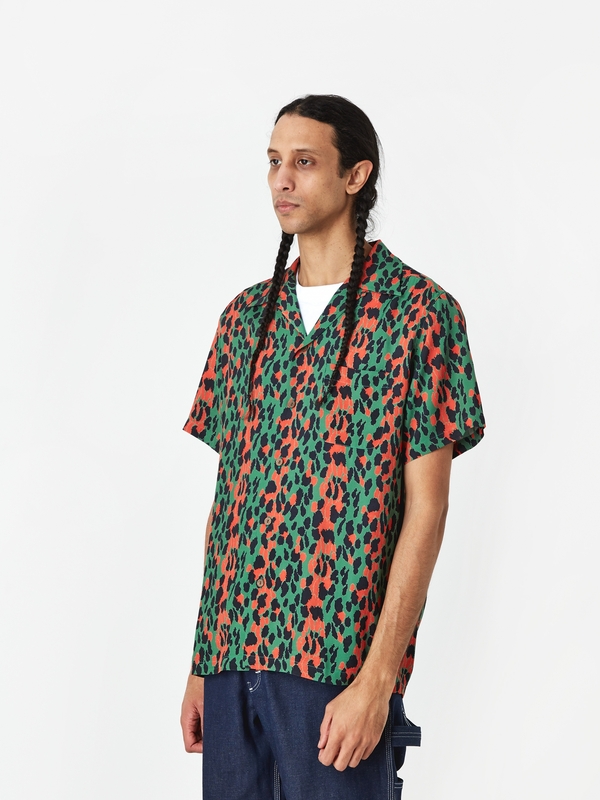 Absurdly expensive: £325 for a short sleeved rayon shirt. 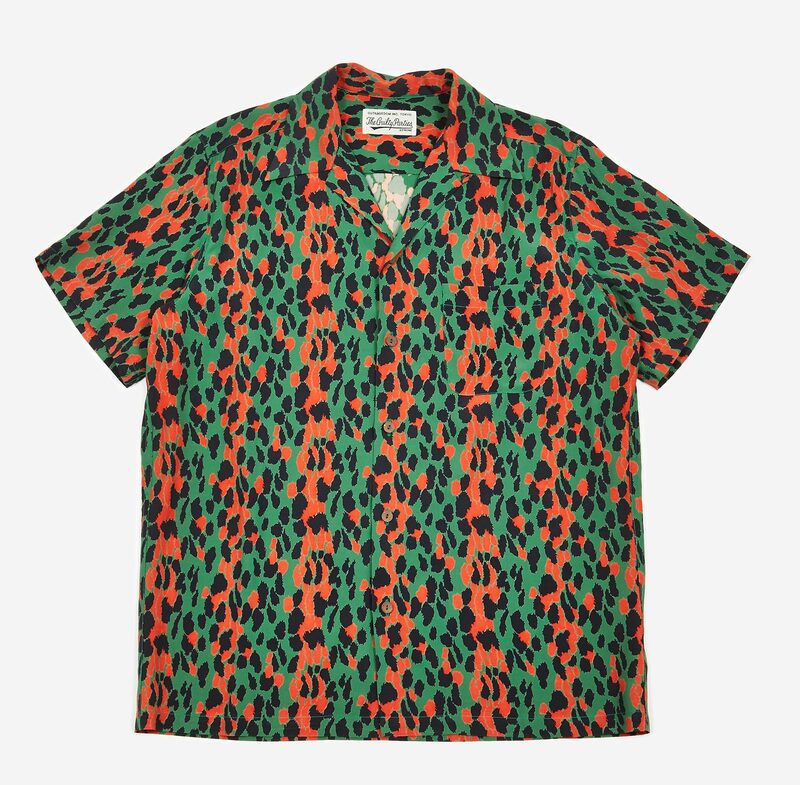 From a Japanese brand that inhabits the desirable hinterland between streetwear and luxury fashion: Wacko Maria. And it begs the question, who the hell has that kind of money and this kind of taste? Don’t get me wrong, I’d wear this if someone gave it to me. I’m not proud. 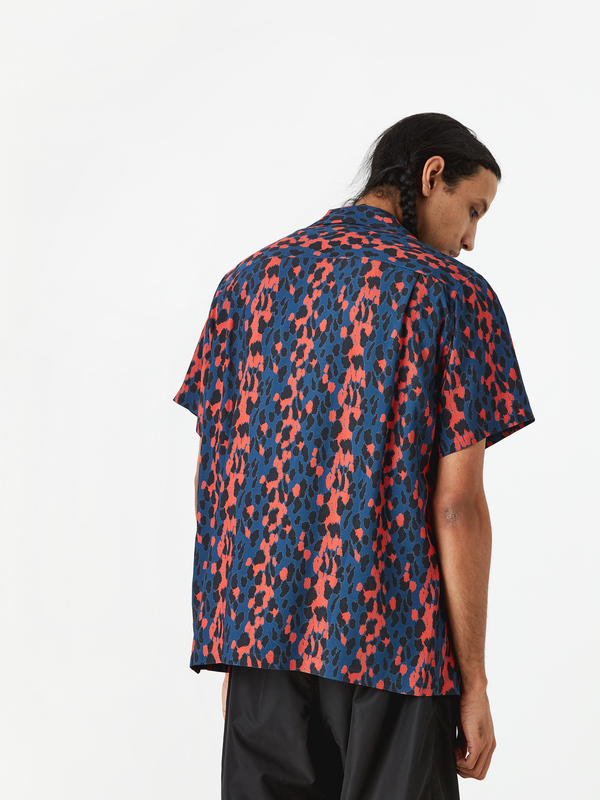 But I could never, in good conscience, actually spend that much on such an insubstantial garment. Still, if by some quirk of a search engine, you’re exactly the target market, go for your life. Just remember, to really make this work, you’ll also need a pair of slightly too short rayon track pants; a pair of sunglasses that only just conform to HMG regulations concerning the legal amount of glass an individual is allowed to carry; and a woolly pink hat in the shape of testicle.